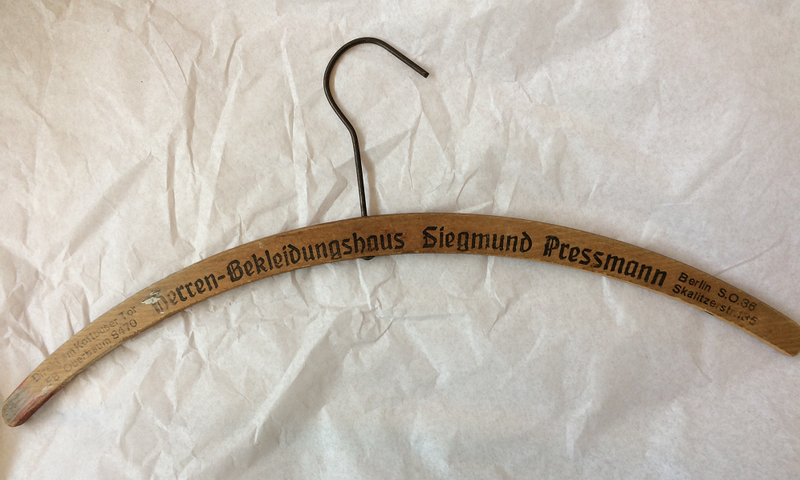 In June 2017, Sonia donated a wooden hanger from her father's men's clothing store in Berlin, Germany to the US Holocaust Memorial Museum in Washington, D.C. 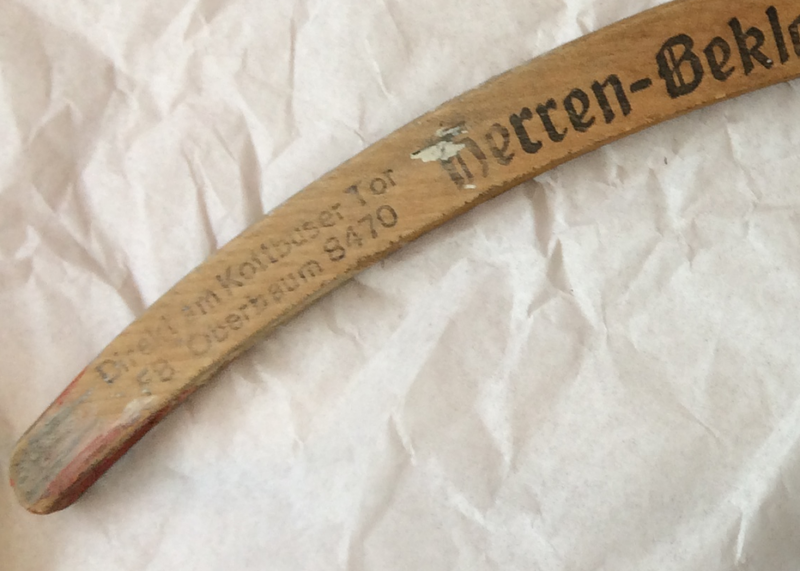 The Pressman family left Berlin in mid-1933 so this hanger is pretty old. Sonia's father rented that store, which had a small factory in the rear. In the center of the hanger is the name of the business. 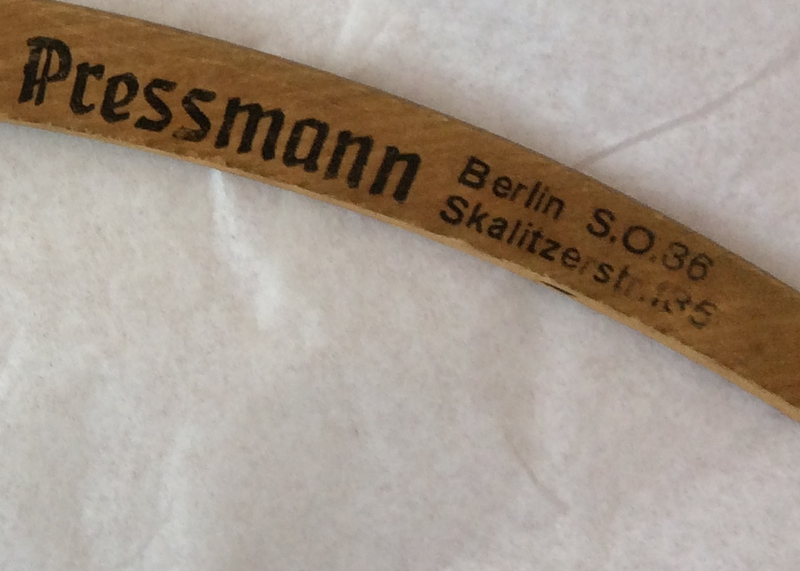 Sonia's father's name was Zysia Pressman but in Germany he used Siegmund Pressmann. In the center, the hyphenated words say "Men's Clothing." On the right is the address of the store, 135 Skalitzer Strasse (Street) in an area called central Kreuzberg; on the left is a reference to Kottbuser Tor. Kottbuser Tor is the U-Bahn (a rapid transit railway) station near Skalitzer Strasse. Also on the left is the following: "F8 Oberbaum 8470." That is the telephone number of the business.